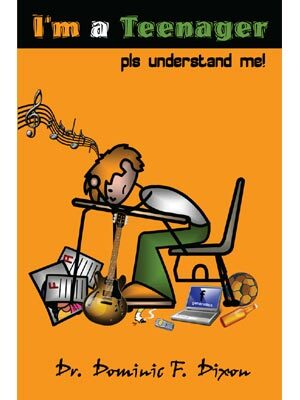 I’m a Teenager, pls understand me, A cry from the recess of the heart of all Today's Youth. What Dominic says is essential as this book focuses on the deepest human problems that challenge ‘Today's Teens’. Nothing is more moving or more enlightening than the way in which Dom has used his life experiences to open up new vistas of hope and healing for the youth in the slave camps of despair. All through life we learn from and teach others - sometimes unknowingly. Perhaps our life may be the Only Bible one may ever read. Thro’ this book, a MUST READ for Parents, Teachers and Teens, Dom has attempted to make life worthwhile by lighting a candle where darkness prevails; and leave a trail behind that others will find happy to follow. Mrs. Wanda Paul, a teacher for over 40 years First standard teacher of Dominic Dixon ...Some of the behaviours of these precious young ones we have counselled were out of control demonic: Occultists, drug addicts, sexual predators, alcoholics and promiscuous boys and girls ready to die due to the inner wounds. If you only saw their behaviour, you would never let your son or daughter mingle with one of them or let your children be around them. Ironically, they are your sons and daughters, and family members. If you heard their story you would weep with them. The aim of this book is to bring the Adult to understand the Adolescent of this awesome Planet.